Dr. Diane Cawein Barger is Professor of Clarinet at the University of Nebraska School of Music and a member of the Moran Woodwind Quintet. Prior to that appointment in 1994, Dr. Barger held positions in the Florida Orchestra, the Naples Philharmonic, the Tampa Bay Opera Orchestra, the Tallahassee Symphony and the Chicago Civic Orchestra. She currently serves as principal clarinet with the Lincoln Symphony Orchestra and is Treasurer of the International Clarinet Association.An active soloist and chamber musician, master class clinician and adjudicator throughout the United States, Dr. Barger was a featured artist at the 2007 (Vancouver), 2006 (Georgia), 2005 (Tokyo), 2004 (Washington, D.C.), 2000 (Oklahoma) and 1997 (Texas) International Clarinet Association’s ClarinetFests® and the 2002 and 1998 Oklahoma Clarinet Symposium in Norman, Oklahoma. She was the guest artist for the 2007 and 2004 Alabama Clarinet Retreat in Birmingham, the 2001 Southern Appalachian Clarinet Retreat in North Carolina, and appeared as soloist with the Florida State University in the fall of 2002. A specialist in the genre of operatic fantasies for clarinet based on Vincenzo Bellini operas, Dr. Barger can be heard as a featured soloist on the International Clarinet Association’s 1998 Recording Project compact disc in a performance of Domenico Mirco’s « La Sonnambula” Fantasia for clarinet and piano.With the Moran Woodwind Quintet, one of the most active and visible quintets in the Midwest, Dr. Barger participated in two lecture/performances at the 2005 College Music Society International Conference in Alcalá de Henares, Spain and the 2005 CMS National Conference in Quebec, Canada. The quintet has also performed at the Grand Valley Music Festival, the North Central Music Educator’s National Convention, the Double Reed Society Convention, and at various colleges and universities around the United States. Their 1998 compact disc recording by Crystal Records, « Postcards from the Center, » features works by American composers Lieuwen, Murdock, Higdon and Heiden. Their 2004 and 2007 CD projects feature the music of Theodore Blumer and is also available through Crystal Records. With the oboist and bassoonist of the quintet, Dr. Barger was a featured guest artist in a recital at the 2004 International Double Reed Society convention in Melbourne, Australia.Dr. Barger received the Doctor of Music (1999) and Bachelor of Music (1988) degrees from the Florida State University where she was a student of Frank Kowalsky. While completing the Graduate Certificate in Performance (1990) and Master of Music (1989) degrees from Northwestern University she was a student of Robert Marcellus. For her doctoral research she was the recipient of the 1996 Faculty Summer Research Fellowship and Grant-in-Aid awarded by the University of Nebraska-Lincoln Research Council. She also received the 2001 Hixson-Lied College of Fine and Performing Arts Distinguished College Teaching Award and teaching awards by the UNL Parents Association and Teaching Council. 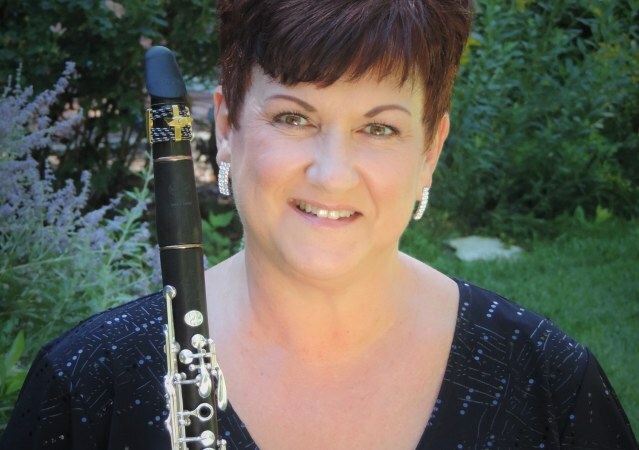 In addition to being a member of the International Clarinet Association, the Music Educators National Conference, the Music Teachers National Association, and Sigma Alpha Iota, Dr. Barger served as Coordinator of the ICA’s High School Solo Competition (2000-2005) and is Chair of the Wind Area at the University of Nebraska-Lincoln.